The MakerBarn is a new makerspace between The Woodlands and Tomball, TX (north of Houston). [George Carlson], one of the founders and a retired design engineer, wanted to make sure only members certified on a machine could use it. He worked with [Kolja Windeler] to create the MACS or Makerspace Access Control System. He has one video explaining MACS and, after the break, another explaining the browser based user interface for the system. A control box, [George] calls them stations, controls the power to a machine. Member badges have an RFID tag that is read when inserted into the station’s reader. If the member is authorized to use the machine, the power is enabled. For safety, the member’s badge must remain in the reader to maintain power. The reader uses a Photon board from Particle with a WiFi link to a Raspberry Pi server. 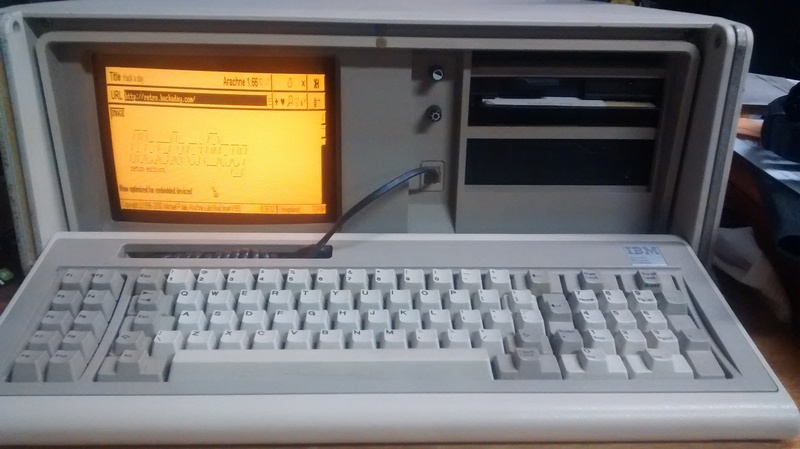 [Kolja] developed a Pi system to maintain a database of member numbers and the machines they can use. The list is sent to the stations periodically or when updates occur. 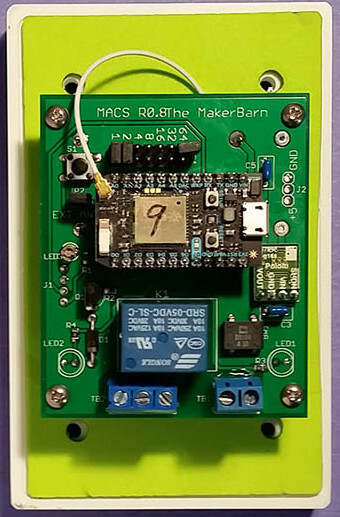 The user interface is browser based on the MakerBarn’s LAN so it can be maintained by a computer or smartphone in the space. Presently 21 MACS modules have been built with some going to Hanover University in Germany for their auto hobby shop. Not only did [George] lead the effort on creating MACS but has been key to getting the construction done inside a pole barn to make the MakerBarn a reality. If you are a soldering ninja with a flair for working with tiny parts and modules, check out the Open Source Watch a.k.a. OSWatch built by [Jonathan Cook]. His goals when starting out the project were to make it Arduino compatible, have enough memory for future applications, last a full day on one charge, use BLE as Central or Peripheral and be small in size. With some ingenuity, 3d printing and hacker skills, he was able to accomplish all of that. OSWatch is still a work in progress and with detailed build instructions available, it is open for others to dig in and create their own versions with modifications – you just need to bring in a lot of patience to the build. The watch is built around a Microdunio Core+ board, an OLED screen, BLE112A module, Vibration motor, a couple of LEDs and Buttons, and a bunch of other parts. Take a look at the schematics here. The watch requires a 3V3, 8MHz version of the Microdunio Core+ (to ensure lower power consumption), and if that isn’t readily available, [Jonathan] shows how to modify a 5V, 16MHz version. A top scoring team in FIRST Robotics shows off just what some high-school students are capable of. Called the Simbot SideSwipe, their 2015 robot is a slick piece of mechatronic genius, which according to our tipster was built in just six weeks by the students. The robot is essentially a remote controlled palletizing forklift, capable of collecting and stacking six recycling totes, and a green bin. It’s an impressive combination of mechanical control and fabrication — though it is worth noting, these bots are remote controlled — not autonomous. 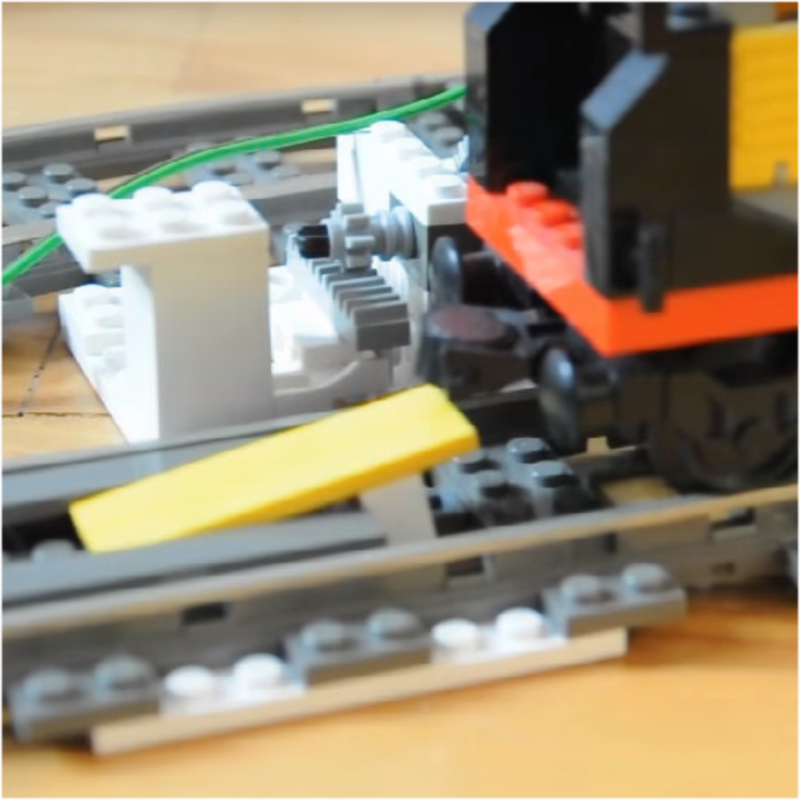 Lego train sets were introduced almost 50 years ago, and since then, one thing has been constant: the trains connected with magnets. While this is a supremely simple means of connecting locomotives to rolling stock, there is one big disadvantage. Building decouplers – devices that will separate one car from another – is difficult. Now, with a clever combination of racks, gears, and wedges, trains can disassemble themselves. They can even do it with an Arduino. This decoupler works by effectively wedging cars apart from each other. With a motor from an old Lego Technic set, a few gears, shafts, and a rack, a device can be constructed that fits between the rails of a track that raises into the undercarriage of rolling stock. Because this rolling stock is moved around with a locomotive, all that’s needed to separate two halves of a train is to move the locomotive forward. Yes, it does mean that the connection with the weakest magnet is disengaged – not necessarily the connection you want to decouple. However, with only one car and a locomotive, there’s only one connection to break. Simple enough. This Lego decoupler can be further improved with an Arduino, a few ultrasonic sensors, and an IR detector to make a fully automatic decoupling siding for a Lego train layout. You can see all this below operating with a full state machine that perpetually switches rolling stock behind a locomotive. A great use for Legos.